In early January I posted this photo on my Instagram of my 2017 goals. I tend to not be a resolution setter. Sometimes I make a couple small goals, not usually. This year I set several goals, trying to keep the concept of SMART goals in mind for things I would like to accomplish for the year. SMART goals are commonly used in small businesses but can be applied to relationships, work, and home as well. It is a way of goal setting that helps ensure you’re setting goals you can actually accomplish in a reasonable time frame instead of something too big and broad. (I’ll write a more in-depth post on each aspect soon) Not all of my 2017 goals fit the SMART model but many do. I have been seeing people choose their “word of the year” for a few years now. It never resonated with me until I read The Broken Way and One Thousand Gifts by Ann Voskamp. She uses the word “Eucharisto” in her writings repeatedly. This word clings to me every time I read it, I feel like I can’t stop thinking about it. I love the way it looks written out (especially in cursive), I love the way it sounds, I love how it reminds me of my childhood in the Episcopal church celebrating Eucharist and, of course, I love what it means. Eucharisto is a Greek word found in Gospel of Luke in chapter 22 verse 19, “he gave thanks.” Greek is a rich language and this one-word encompasses giving thanks, grace, acknowledging our gifts and deep joy. When I first heard this word I knew it was my word for 2017. We have had a number of struggles in the last couple years and this word seems so right to remember and strive to embrace more and more every day. I put a significant amount of time around the New Year thinking and praying about my goals for this year. I decided to set a number of goals, make a beautiful sheet in my bullet journal to display them and to share my progress here. I’m highly motivated by checkboxes. I don’t like checkboxes left unchecked, I need to create a couple other habit trackers for some of the areas I am struggling with. I’ll check in every couple months with my progress, feel free to shoot me an email or Facebook message and ask more about how it’s going. Read– I’m on track for 52 books this year. I’ve got some good book reviews coming for you soon! Yoga– This has been so/so. I feel like some weeks I get my goal in and some weeks I don’t get any yoga in at all. I feel awesome and notice significant improvement in my energy and sleep when I keep up with it. Time– Thanks to the StayFocused App I am significantly reducing my time on Facebook. I’m also managing my time better than I ever have before. I need to take more time to play though! 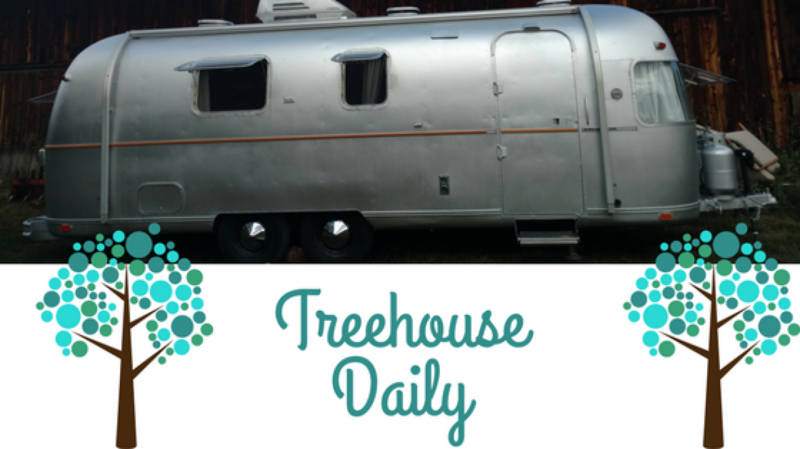 Home– We’re working hard on the Airstream. We need to figure out where we’re going to stay once she’s done. If anyone has leads in the Boulder County area please let us know! Help– On track! Volunteered twice this year so far. Blog– I’m not profitable yet but have been applying for affiliate accounts and am working hard to get there! Love– We get virtually no cell reception where we live so I’m not doing as great on calling friends as I’d like to be. I am doing much better being in the moment with my family, however. Grow– I’m not doing well working on my herb class… I need to do this. I have been embraching Eucharisto though. Save– Unfortunately we’ve aquired new debt already this year. I’m working as much as I can. The gazelle intensity is hard because we’re concerned about my health and a relapse if I get under too much stress from my hubby picking up a second job. Play– No hikes yet, it’s the wrong time of year. We’re getting outdoors as much as we can- not daily like I would like to be. Overall I think I’m doing quite well with my goals so far. As you can see, not all would fall under the “SMART goal” guidelines but many do. Thanks for your encouragement, support and prayers as I aim for my goals! Did you set any goals for 2017? How are they going so far?